« France during World War II. 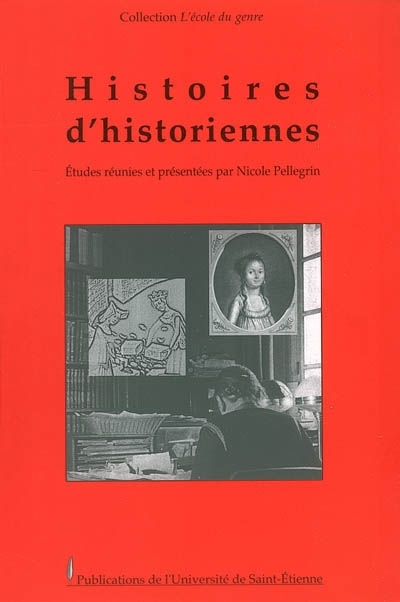 Historiographic analysis based upon the Bibliographie annuelle de l’Histoire de France (Annual bibliography of French history) 1964-2010 », in K. Rexová, B. Cunningham, V. Horcáková et V. Hanelová (eds), Historical Bibliography as an Essential Source for Historiography, Cambridge Scholars Publishing, 2015, p. 109-130. Bibliographie annuelle de l’histoire de France. Années 2010-2011, Paris, CNRS Éd., 2012, 1085 p.
Année 2009. Paris, CNRS Ed., 2010, 946 p.
Année 2008. Paris, CNRS Ed., 2009, 903 p.
Année 2007. Paris, CNRS Ed., 2008, 952 p.
Année 2006. Paris, CNRS Ed., 2007, 1031 p.
Année 2005. Paris, CNRS Ed., 2006, 936 p.
Années 1990 à 2004. Paris, CNRS Ed. « France during World War II. Historiographic analysis based upon the Bibliographie annuelle de l’Histoire de France (Annual bibliography of French history) 1964-2010 », in K. Rexová, B. Cunningham, V. Horcáková et V. Hanelová (eds. ), Historical Bibliography as an Essential Source for Historiography, Cambridge Scholars Publishing, 2015, p. 109-130. « Entre reconnaissance et oubli : les nécrologies d’historiennes dans la Bibliogr aphie annuelle de l’histoire de France, 1953-2000. Les débuts d’une enquête » , in N. Pellegrin (dir. ), Histoire d’historiennes, Saint-Etienne, PUSE, 2006, p. 103-112. 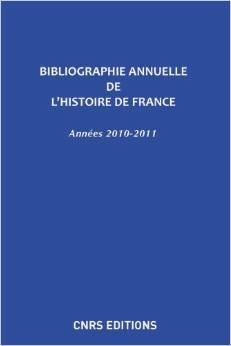 Avec C. Chiati et I. Havelange, « La Bibliographie annuelle de l’histoire de France : un outil pour la recherche », La Revue pour l’histoire du CNRS, 2005, n° 13, p. 50-56. « France during World War II. Historiographic analysis based upon the Bibliographie de l’Histoire de France (Annual bibliographie on French history) 1964-2010 ». 5th Conference on European Historical Bibliographies, Prague, 7-8 november 2013. Avec V. Durand et C. Ghiati, « Facing the growing historical production and remaining a reference resource ». Third Conference of European Historical Bibliography, La Haye, Institute of Netherlands History, 3-4 décembre 2009. Avec C. Ghiati, « La Bibliographie annuelle de l’Histoire de France : Revising the concept of a historical bibliography ». 2nd Conference on historical bibliographies, Berlin-Brandenbourg Academy of Sciences, 15-16 septembre 2008. 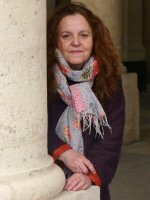 « Germaine Tillion, une voyageuse dans l’histoire. Des Aurès à Ravensbrück ». Séminaire « Femmes et histoire », IHMC, avril 2008. Avec C. Ghiati, « La Bibliographie annuelle de l’Histoire de France/The Annual bibliography of the French History, 1955-2007 ». Conference on historical bibliographies, Berlin-Brandenbourg Academy of Sciences, 27-28 septembre 2007.